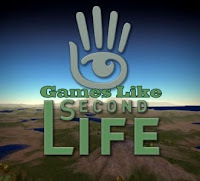 Games Like Second Life '+g+"
Check this list of recommendations for virtual world games like Second Life which offer similar online virtual world experience where the users can explore, interact and create their own world. Second Life is an online virtual world where you can experience endless surprises and unexpected delights imagined and created by people like you. The following game recommendations for Second Life offers. There is an exciting virtual world where you can create your own 3D character (called an “avatar”), meet and hang out with friends, and talk to each other using real-time voice or text chat. Visit Official website Here. IMVU (Instant Messaging Virtual Universe) is an online 3D virtual game which allows its members to communicate with eachother through 3D avatars. IMVU has more than 100 million registered user accounts worldwide and features the largest user-generated virtual goods catalog of more than 10 million items. Visit Official website Here. Active Worlds is a 3D virtual reality platform. Log into the Active Worlds universe, and explore 3D virtual worlds and environments that other users have built. Users can chat with one another or build structures and areas from a selection of objects. Visit Official website Here. Kaneva is a 3D Virtual World that supports 2D web browsing, social networking and shared media. Kaneva allows millions of people to explore, interact and create their own worlds. You can make a virtual world or a 3D MMO Game World. Visit Official website Here. Smeet is a free browser-based 3D Social Chat Game. Within Smeet you can discover a diverse number of 3D Hangouts where you can playfully meet new people and become whoever you want to be. Visit Official website Here. Club Penguin, ....if you can think of more, then don't forget to mention it in comments.